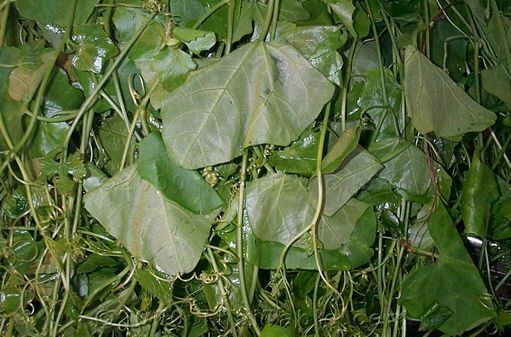 Tum leung or ivy gourd looks similar to ivy but lighter in color and have thinner stems. It gives fruits that look like cucumbers and turn red when ripe. Only the young leaves and stems are eaten. In Thailand it grows wild and climbs up on trees and fences. It is wonderful for soup. It is sometimes available here in the US at Asian markets. I have seen it grown wild in Hawaii.